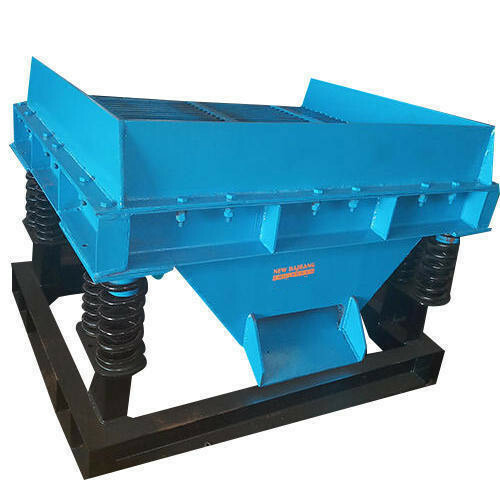 We are the manufacurer of Foundry Machinery, Crushing Machine, Foundry Mixer Machine,Sand Washing Machine & Siever, Foundry Ladle, Batch Mixer Machine, Vibratory Knockout Machines etc. We are actively engaged in Manufacturing qualitative array of Foundry Machinery, Crushing Machine, Foundry Mixer Machine, Sand Washing Machine & Siever, Foundry Ladle, Batch Mixer Machine, Vibratory Knockout Machines, Sand Dryer And Separator, Industrial Conveyors and CO2 Gas Manifold. Broadly demanded in foundries, these equipments and machines are appreciated among our clients due to their sturdy design, simple usage, high efficiency, long working life, hassle free functioning and low maintenance cost. In accordance with industry set standards, these foundry equipments and machines are manufactured with the help of premium quality components and cutting edge technology. We ensure to provide these well tested foundry equipments and machines in several specifications at most nominal rates.